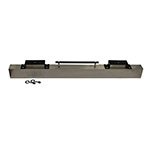 Industrial strength, permanent magnets for the removal of dangerous ferrous objects from the floor. 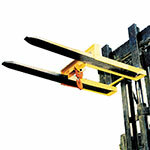 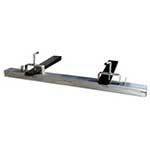 Designed to provide a quick and safe way of loading and unloading pallets from vehicles. 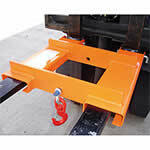 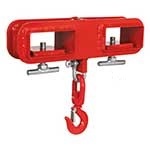 Forklifts have many uses, by attaching one of these accessories to a forklift you can expand it’s uses further. 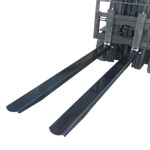 The fork extension sleeves will give you longer forks, which will make moving those long pallets much easier. 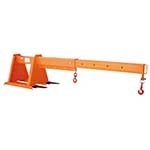 The lifting hook converts your forklift into a mobile crane and allows your forklift to carry items such as large bags and sacks. 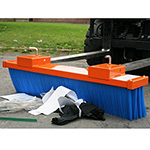 The fork mounted sweeper brush will enable you to use your forklift as a road sweeper, the snow plough attachment is ideal for clearing away snow during winter to allow easy access to parking areas, yards and more.